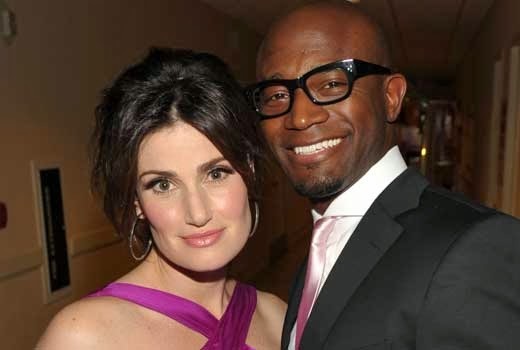 American actor and actress Taye Diggs and Idina Menzel have separated after 10 years of marriage, sources confirms. In 1995 the pair met firstly as co-stars in a Broadway production of the musical " Rent " . A rep for the pair told that, "Idina Menzel and Taye Diggs have together decided to split at this time. Their main focus and concerns is for their son.We ask that you respect their privacy during this time. They tied the knot on Jan 11th 2003 and gave birth to a baby boy called walker in 2009. Taye Diggs and Idina Menzel also acted in the 2005 film adaptation of " Rent ", playing the roles of " Benny ", a landlord and ,' Maureen' a racy bisexual performance artist .The main reason of their separation has not yet been confirmed but Idina Menzel recently to people spoke about the difficulties of travelling back and forth LA to New York for work purposes. Taye Diggs also spoke about their relationship ,admitting better housekeeping that the best thing about being married is " having close friend by you side constantly knowing that someone has your back.